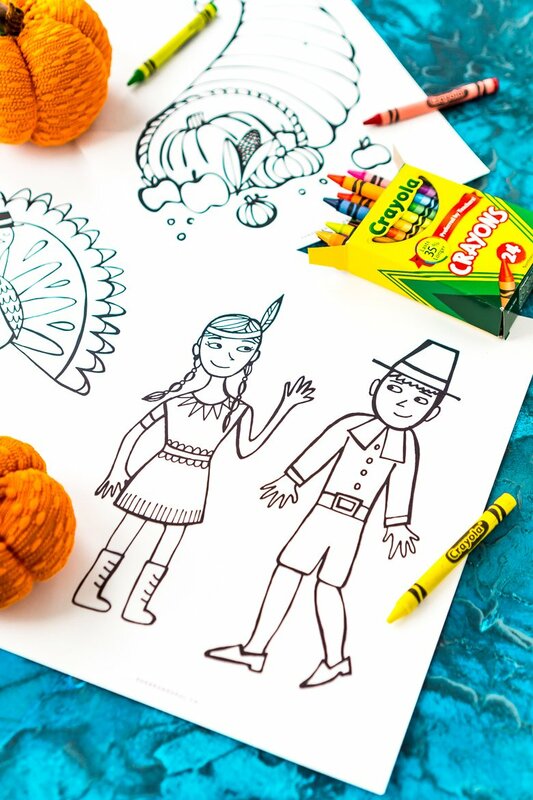 These Free Thanksgiving Coloring Pages are an easy way to add entertainment to your child’s schedule. Want to get the kids in the holiday spirit? 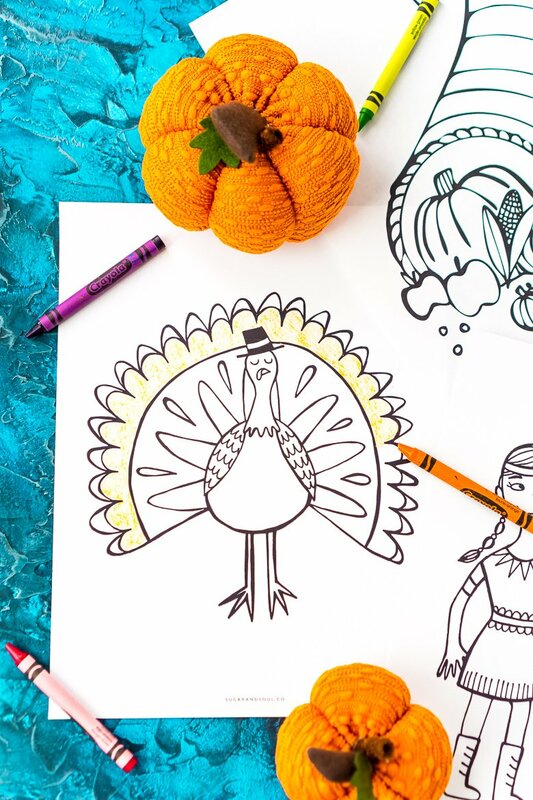 Present them with these Thanksgiving Coloring Pages Printables and get creative! The thought of Thanksgiving is usually accompanied by images of lots of delicious food, and rightfully so. But the most important part of the holiday is about spending time with family, and crafting gets everyone together. These Free Thanksgiving Coloring Pages are a fun way to get everyone around the table — no cooking (or cleaning!) required. Instead, put out some crayons, markers, and colored pencils, and let everyone color to their heart’s content. If you really want to go all out, grab the scissors, glue, construction paper, glitter, and pom-poms, too. It’ll be like a “buffet” of craft supplies, and everyone can customize their own pictures! Let an adorable turkey, an overflowing cornucopia, and classic a Native American and pilgrim picture inspire some festive artwork. Plus, crafts like these a great way to make budget-friendly decorations that you can put around the house. You and the kids can even present a little homemade “gift” to each of your Thanksgiving guests! But the best part about these Free Thanksgiving Coloring Pages is the bonding time they can help create. Coloring is a simple past time that doesn’t involve screens or social media — instead, it encourages conversation. Parents, let me remind you that coloring and crafting are super relaxing! Take a few minutes to do a fun project with your kids, and trust me, you’ll enjoy it, too! Teachers, take note: Thanksgiving Coloring Pages Printables are a great activity to do in class. You can even tie them in with an interactive holiday history lesson. Thanksgiving is about spending time with loved ones, and not only around food! 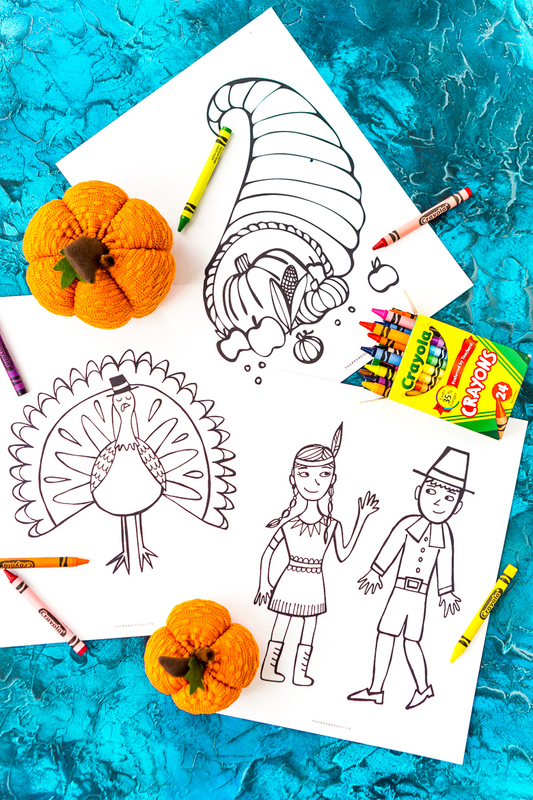 Make art and memories with these Thanksgiving Coloring Pages Printables as the holiday approaches this season. Make these Turkey Cupcakes, print off these coloring pages and have some fun! 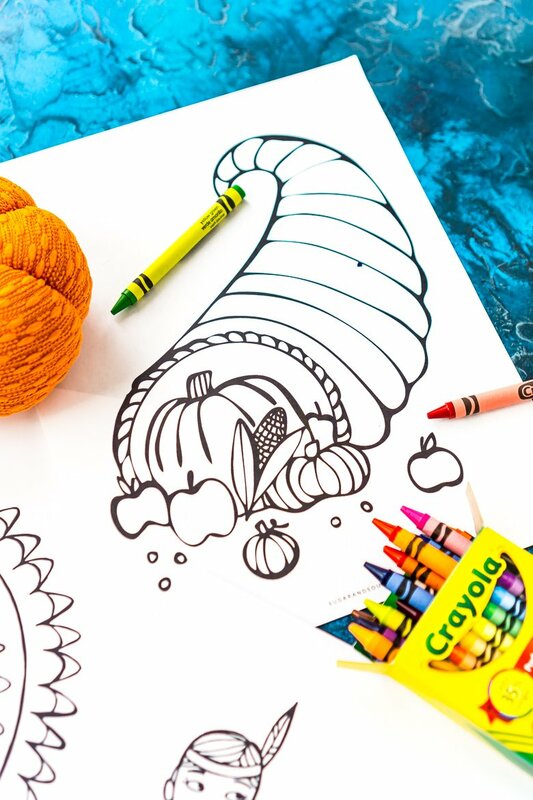 Get the FREE Printable Halloween Coloring Pages! Enter your email address in the form below to print! You will be taken directly to the PDF of the printable and receive an email copy as well. If you do not see a form, please click here to get to it! Free Thanksgiving Coloring PagesPrint Now!